Since opening in 1990, the Edward Larrabee Barnes-designed UCLA Hammer Museum has served, literally and figuratively, as a gateway between the city of Los Angeles and the University of California, Los Angeles (UCLA) campus. 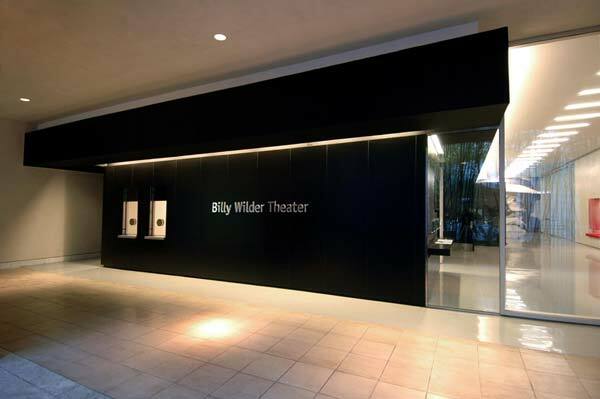 The 11,500-square-foot, 295-seat Billy Wilder Theater, which opened this past December, is the first phase of a larger master plan to transform the museum into a cultural "living-room" for the city. 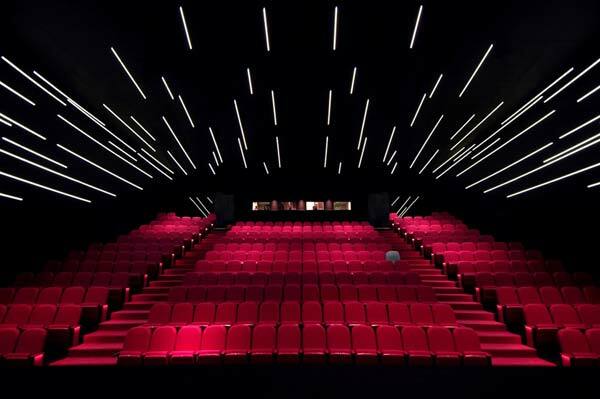 Designed by Michael Maltzan Architecture, the theater is an animated destination that is distinct in its iconography, materiality, and use, yet integrated into its larger context. 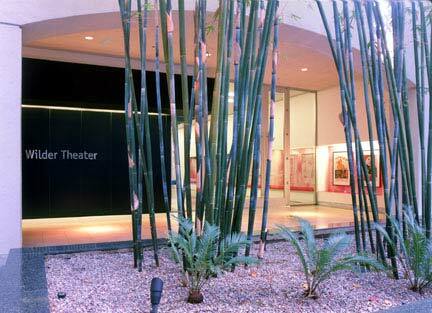 The theater box office stands near the center of the museum's courtyard, drawing visitors from three museum entrances. 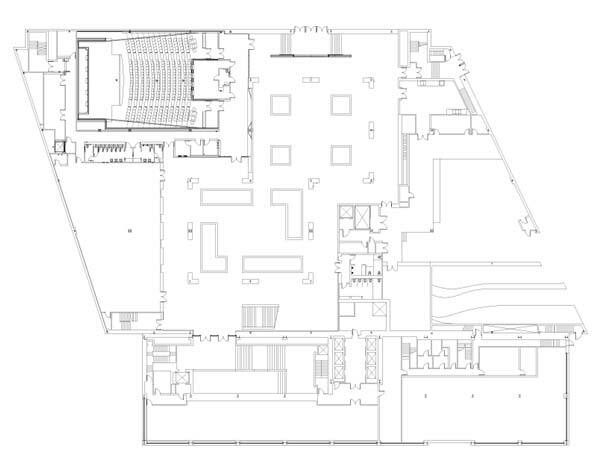 Linked to the Hammer's central courtyard, the theater's linear lobby positions it not as a discrete entity, but rather a destination within a longer narrative extending from the city through the museum and into the theater itself. As theatergoers enter, they move along a 50-foot-long lenticular mural which blurs interior and exterior, uniting the lobby with the courtyard beyond; the image references one of Wilder's most iconic films, Sunset Boulevard. 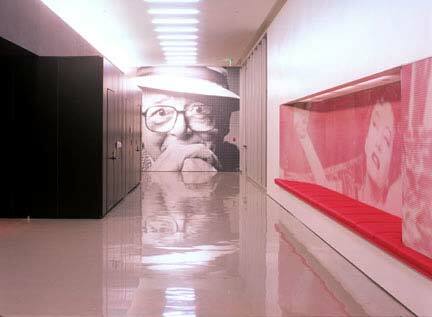 The mural’s surface forms a shifting moiré of hues, animating the lobby, and slips past the adjacent wall, creating an alcove to rest or gather before and after performances. 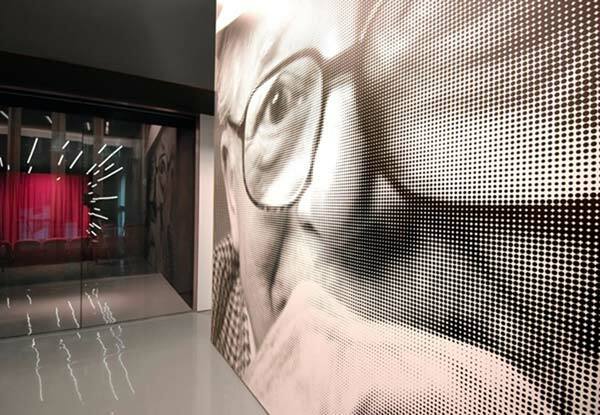 Super-scaled photographs of Billy and Audrey Wilder anchor the lobby to the north and within the auditorium vestibule, and seem to oscillate as visitors approach their pixilated images. 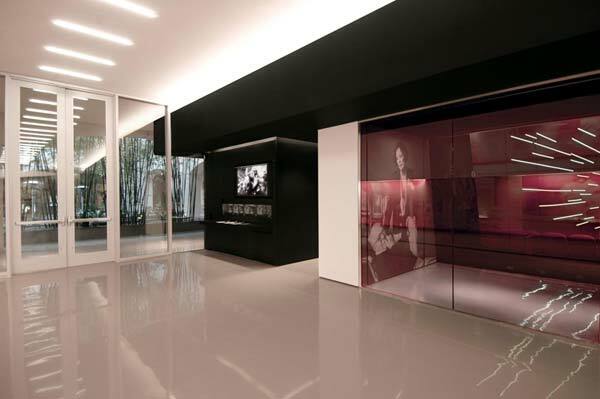 The theater itself is similarly integrated into this continuous narrative, linked visually to the foyer through a series of transparent full-height glass partitions. Long, linear tubes of LED lighting beckon theatergoers toward the stage. All but one seat are upholstered in raspberry-pink leather – a single brown leather seat, "Billy's Chair," marks the place Wilder himself would traditionally sit during screenings. 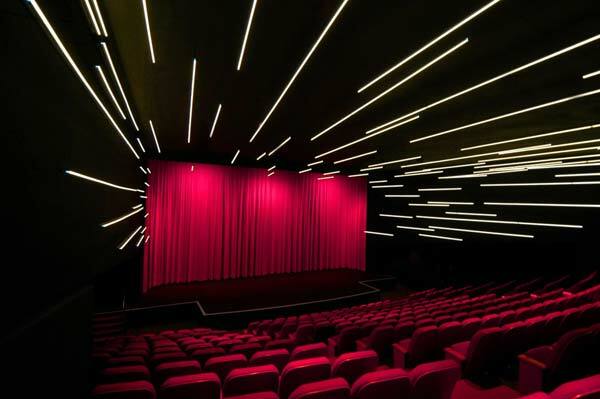 The theater serves a dual constituency: the Hammer Museum and the UCLA Film and Television Archive, with technology that meets the highest standards for film and video projection. It is one of the few facilities nationwide equipped to project historic nitrate cellulose films. A flexible stage and lighting system allows other uses such as performance art, readings, and lectures, with support areas including a green room and extensive back-of-house spaces. As visitors emerge from the theater, they can for the first time see Sunset Boulevard in its entirety-as they depart or continue into the Museum, the Theater's linear narrative extends past its doors. In some way, visitors have spent the day or evening within the theater without ever having left the city beyond. 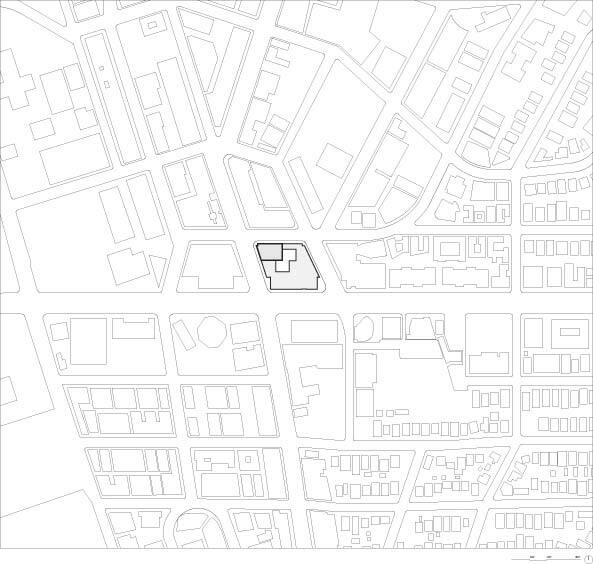 Architect: Michael Maltzan Architecture, Inc.
M/E/P Engineer: Innovative Engineering Group, Inc. Lighting Design: Lam Partners, Inc.
Construction Cost Management: C.P. O’Halloran Assoc. Inc.
Main Lobby Lights: Nippo Electric Co. Ltd.